This weeks article is about a ”one hit wonder”, or atleast the duo only released one original track. Alt+F4 is finnish guys Joonas Hahmo and Matti Kotala. 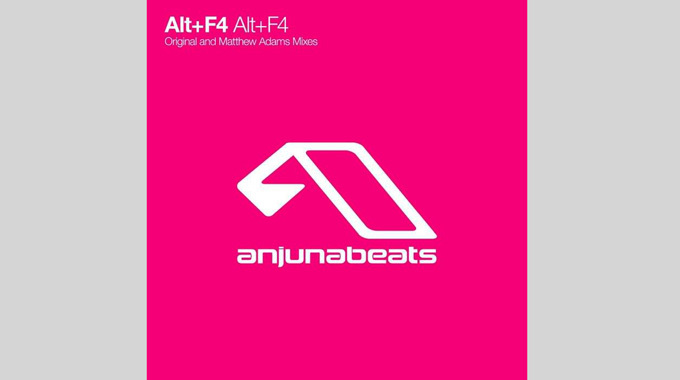 The track with the same name was first released on promo 12” in 2004 and later released in 2005 on Anjunabeats. Since then, they have done some really stunning remix-work. Or what do you think about these? Out of the remixes, I recommend all tracks a good listening. They do all have that special Alt+F4-touch. The collaboration ended in 2006 and Matti & Joonas went seperate ways. Joonas first own release was The Fusion, released on Andy Moor’s label AVA Recordings in 2006. The followup Together / Sound Of Sunday came out 2007 on Above & Beyond’s progressive label Anjunadeep. The first big impression on me came with the third release, Coctail Bar. The sweet progressive beats together with the housepiano and the trance-stabs makes the perfect combination of all the styles I like. The followup, Tampere By Night / Radience is also an EP that I recommend a listen. Tampere By Night is a flirt with late 80’s music together with some fresh sounds to make it fresh If you too like that sound, also check out fellow finn Michael Cassette. in 2010, jonas set up his own label, Hahmo Recordings which firstly was aimed at release Joonas own material but nowadays they’ve let in a few other artists. The first release on the new label was the Brainflush / Now Or Never EP. Both tracks on the EP are sweet progressive tracks. The next release was Pizzi & Section 1 EP. I especially like the Proff & Vadim Soloviev Remix of Pizzi, another progressive stomper. The last release from 2010 was the single Mojito. I really love the driving progressive beat toghether with the house-piano. The single Western was released in 2011 and is a sweet and bouncy progressive beat with a nice housepiano over it. The follow up was the single I Like Chopin. The track was another flirt with the 80’s. Although I mostly like the early Alt+F4-sound with its trancy beat and phat sounds, the solo-stuff aint that bad. I like the combination of using modern sound with just a touch of the 80’s which brings some nostalgia to us music-listeners. I especially love the use of piano in the tracks. The future looks good for Joonas and I hope he will continue on the path he’s taken. But I wouldn’t mind a flirt back to the Alt+F4 days with its trancier sound. For that’s the sound my heart truly loves.